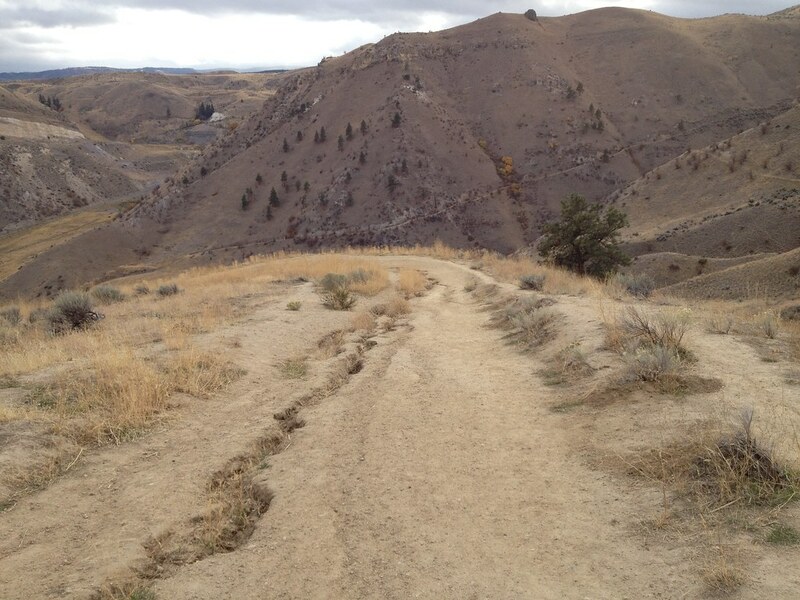 Saddle Rock trails are mostly dry and durable, and spring wildflowers are starting their show! Working together, we accomplished the 100-year community goal of acquiring and protecting Saddle Rock forever. Enormous community support for our Saddle Rock Campaign enabled the Land Trust and the City of Wenatchee in 2011 to purchase the property from Washington State and provide permanent stewardship funding for its ongoing care. Saddle Rock Natural Area is now a City of Wenatchee Park with a trailhead and amenities. The park is open during daylight hours. Permanent protection of this treasured icon means our community can continue to enjoy Saddle Rock’s open space, recreation, and outdoor learning opportunities for generations to come. Follow the old jeep road from the parking area on Circle Street to the top of Saddle Rock. Be prepared for some sweeping views of the city. This alternative route to the top takes you under the face of Saddle Rock before it approaches the summit from the north. This trail makes a great loop with the main trail. Head south on Miller Street. Turn right onto Circle Street. The parking area is at the end of the road.